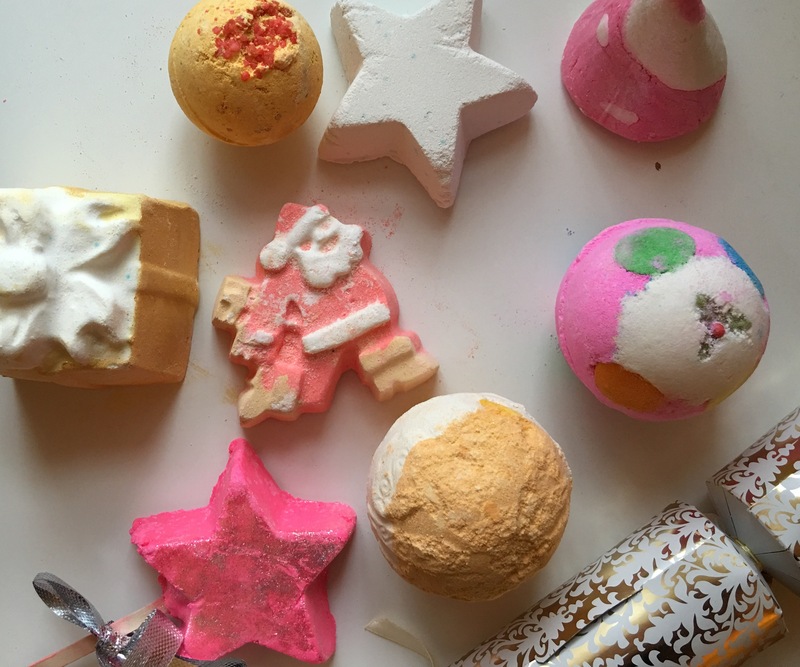 Is it really Boxing Day if you haven’t spent a good two hours refreshing the Lush site? After waiting for around 5 minutes (which passed really quickly as I chatted to the assistant on the door), I was allowed in. I saw in the window that there were plenty of the gift set I had been trying to get online so I instantly relaxed (yes, Lush sale shopping is stressful yano!). 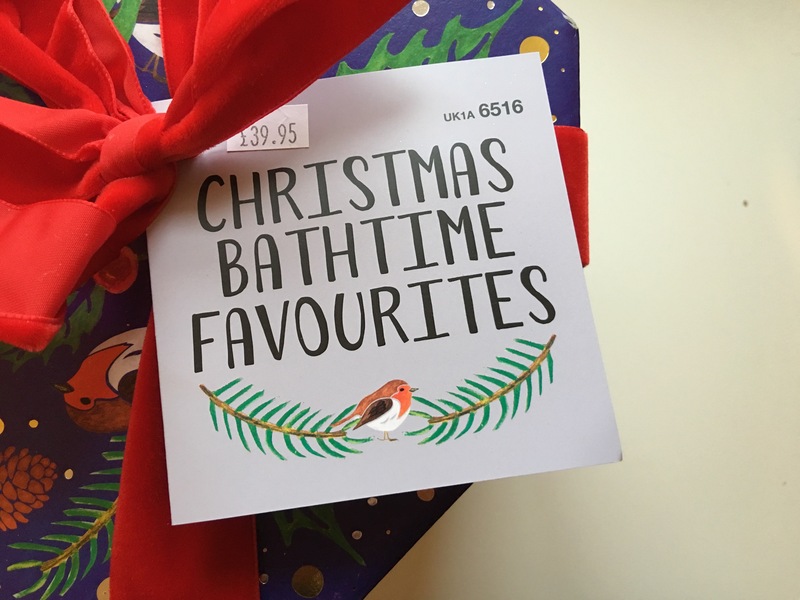 The first thing I picked up was the Christmas Bathtime Favourites gift set. This is usually £39.95 but was half price (like everything in this haul) so I managed to get it for under £20. It includes 10 products, some of which you couldn’t get discounted as they aren’t Christmas products. So I feel as if this was a really good deal, in fact I had a look at almost of the gift sets online and set my heart on this one! It’s definitely worth picking one up in the sale if you can! I believe they still have them online! I then moved on to bath bombs/bubble bars and began filling my basket. 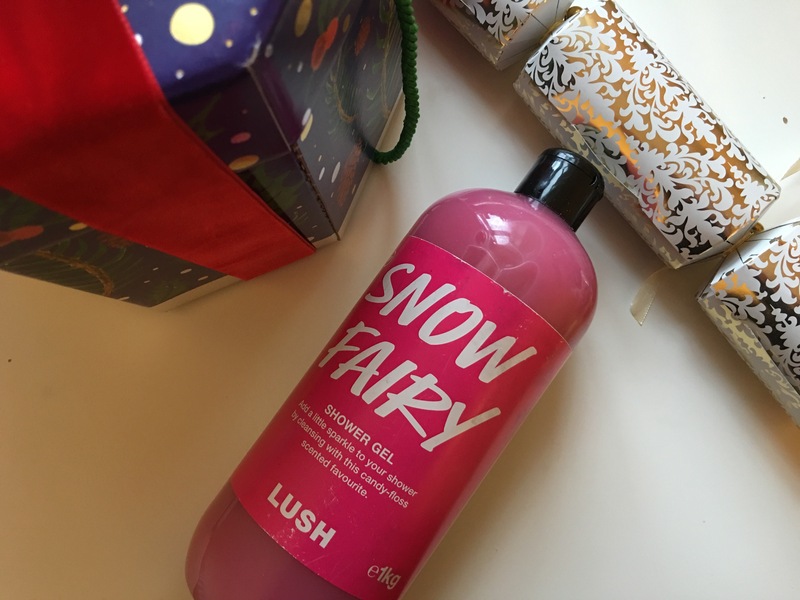 Lastly, I bought the biggest bottle of Snow Fairy Shower Gel that Lush sell. The big 1kg, which I think came in at just over £10. How I know this isn’t cheap for a shower gel, but it’s £21.50 usually so I came away feeling smug! Having got £106.15 worth of stuff for just over £53 I then braved a few more stores (bought nothing) and headed home. Now I just need to decide where I’m going to store it all…. Great post Beth! I headed into the Trafford Centre store and picked up a butterbear, 2x candy mountain, shoot for the stars and star dust – all for just £7.20. I managed to reign myself in as I got quite a few lush products before Christmas! Sounds great! I love Butterbear! I got two of the sets for Christmas so I have sooo many!! Wish I’d got a shoot for the stars but they didn’t have any 😦 Hope you had a lovely Christmas!!! I managed to get the bath time favourites too! Such good value 🙂 Can’t go wrong with lush!